Utter And Complete Panic Over FISA Abuse Memo Roils Democrats - Game Changing Proof Of "Brazen Plot" To "Frame An Incoming President With A False Russian Conspiracy"
Democrats in utter and complete panic decided to force a government shutdown onto America to distract the public's attention from the classified four-page House Intelligence Committee memo which details Foreign Intelligence Surveillance Act (FISA) abuses by the Obama administration and Intelligence agencies like the FBI and DOJ during his presidency. In the first article of the #ReleaseThe Memo series we at ANP detailed a House Intelligence Committee vote where every single Democrat on the committee voted against releasing a four-page memo which details FISA abuses, under the Obama administration, to the full 435 members of Congress. Republicans approved it in a party line vote, allowing access only in the secure room because of classified information contained within the document. We asked in that initial article "What are Democrats so scared of?" In part Two of the #ReleaseTheMemo series, that question was answered as members of the House that entered that private room and read the details of the corruption and politicization of the intelligence community, came out and went on camera, visibly shaken over what they had read, with one Representative even comparing those rampant abuses by the Obama administration to actions used by the KGB. 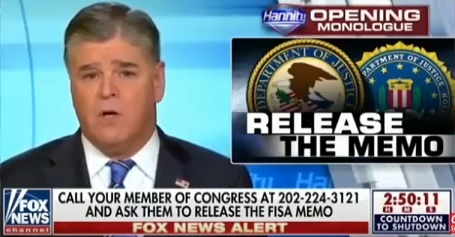 Every member that saw the memo came out with demands that the House Intelligence Committee declassify the document and release it to the public at large. In the midst of the public outcry where millions of Americans called Congress to demand the release of the memo, Democrats in the Senate, in a blind panic over the upcoming release of the memo, took a calculated risk to shutdown the government, with the liberal mainstream media playing their part by focusing their headlines on the issues causing the government shutdown. This also allowed the MSM to avoid finally informing their audience that the Independent Media was correct over the last year in asserting the whole Russia collusion with Trump storyline, and the Mueller investigation, was nothing more than planned hoax upon the American people, by U.S. intelligence agencies to discredit a sitting President. The reason Democrats did this in their panic was because while they knew the four-page memo will be released, Americans will finally be informed of the rampant corruption and abuses during the Obama administration, and they needed to buy time to converge on a storyline, the "spin" and talking points they wanted the MSM to run when it does happen. Approximately 140 House members have now seen the classified memo, with reports indicating that only one House Democrat even bothered to read it. The ranking Democrat on the House Intelligence Committee, Adam Schiff, having failed in his attempt to prevent the full House from accessing the four-page FISA abuse memo, has started floating the upcoming "spin" the media is expected to rally around when the memo is released to the public. His first act was to go on CNN to start the ball rolling, (video at the link) claiming the memo "is essentially a set of talking points that the Republican Intel staff drafted" based on highly classified information. His second claim is that the "talking points" are "distorted," part of a "narrative" Republicans want to push, and then he attempts to connect that to the "Russians!" His claimed is based on the NeverTrump website Hamilton 68 that claims Russian-linked accounts were also pushing the #ReleaseTheMemo hashtag. His most demonstrably false claim is his response to the question of why the FISA abuse memo should not be released to the public so "Americans can make the decision for themselves." 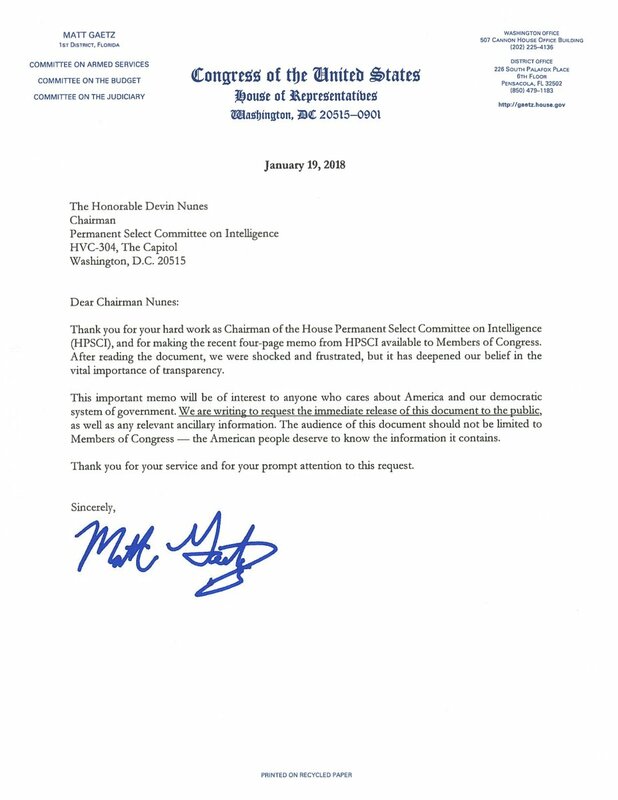 That is is a categorical lie, evidenced by the publicly available letter sent to Chairman of the House Intelligence Committee David Nunes, that 65 House members signed, in which they "request the immediate release of this document to the public, as well as any relevant ancillary information." In case Rep. Schiff has forgotten, "ancillary" means "providing necessary support to the primary activities or operation of an organization, institution, industry, or system." Meaning Republicans are not just requesting the release of just the memo, but they are requesting the supplementary information which provides the basis for the information contained within the four-page memo be released as well, without jeopardizing any classified sources. There is no way to overstate the importance of getting the FISA abuse memo and the relevant ancillary information, released to the public, for a variety of reasons. ONE: This is the first phase of of revealing the "Russian/Collusion" narrative that the MSM, Democratic politicians and liberal websites have spent the last year pushing, is in fact false. TWO: It is also the first item of proof that will become publicly available that shows the Independent Media's assertion for the past year that the Obama administration actively abused their power, politicizing the intelligence agencies, in order to frame a member of the opposing political party that has won an election in an attempt to delegitimatize a sitting President in the minds of the American public. 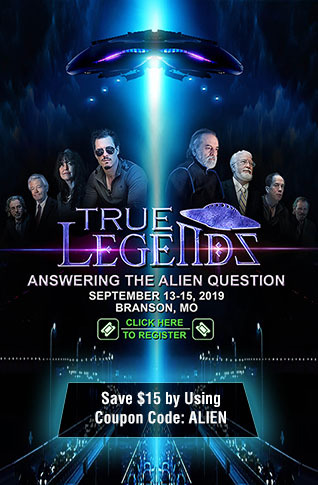 The mainstream media and Democrats have spent an entire year claiming those allegations were "fake news," and just "conspiracy theories." THREE: Via public statements over the last two days, by House Representatives that have read the FISA abuse memo, indicate that it proves that the FISA warrant to surveil members of the Trump campaign, after the election, was obtained using the unverified and discredited Steele dossier that was paid for by the Clinton campaign and the DNC, and to which the information contained within came partially from Russian sources. FOUR: Once released and the liberal media are forced to report on its contents, no matter what "spin" they put on it, their audiences, those that still trust the biggest liberal networks, will finally get to see how badly they have been misled by the names they trusted. As political commentator Wayne Allen Root states "Liberals who only watch CNN and MSNBC probably haven’t a clue what’s about to hit them. Trust me, that light at the end of the tunnel is a train headed straight for the Democrat Party." FIVE: With the entire special counsel investigation being predicated on the original surveillance of the Trump campaign team, if that surveillance was obtained by tainted means, every single scrap of evidence that stemmed from that original surveillance is also tainted under the Fruit of the Poisonous Tree doctrine. In other words, as you will hear in the Sara Carter interview below, the whole Mueller investigation "unravels." According to Sara Carter, who has been consistently ahead of the curve on this issue, going back to the original underlying scandal of how the Obama administration abuse their positions to start "unmasking" American names, in violation of the spirit of the FISA rules and regulation, up until the details of what is inside of this four-page FISA abuse memo, the proceedings to bring about the release of this memo to the public has begun. She asserts it could take until the end of the month but that some of her sources say it could be released by next week if the House Intelligence Committee moves fast enough to get it onto the president's desk so he can approve the release. She also claims her sources tell her, the President is expected to immediately agree to have it released. Former federal prosecutor, Joe diGenova, was interviewed by The Daily Caller News Foundation, in where he describes the truth that is starting to finally seep out about the Obama Administration’s "brazen plot to exonerate Hillary Clinton" and "frame an incoming president with a false Russian conspiracy." While the interview with diGenova is over 30 minutes, the details he provides of former FBI directors "farce" of an investigation into Hillary Clinton, saying that the FBI "followed none of the regular rules, gave her every break in the book, immunized all kinds of people, allowed the destruction of evidence, with no grand jury, no subpoenas, no search warrants." The interview also details: An April 2017 99-page FISA court opinion that "describes systematic and on-going violations of the law [by the FBI and their contractors using unauthorized disclosures of raw intelligence on Americans]," which he calls "stunning stuff, and; Journalists being paid by Fusion GPS, who created the Kremlin sourced Steele dossier as part of opposition research for Hillary Clinton and the DNC against the then president-elect Donald Trump, which was then used by the FBI and/or the DOJ, to obtain the FISA warrant to surveil the Trump campaign. He called that "the complete antithesis of American journalism and the first amendment." The AP and the Daily Caller is now reporting that the FBI "failed to preserve" five months worth of text messages between FBI agent Peter Strzok and his mistress, FBI lawyer Lisa Page. Previous text messages that were revealed led to special counsel Robert Mueller reassigning Strzok after his anti-Trump, pro-Clinton biases were revealed. The five months missing are from December 14, 2016, until May 17, 2017, which was the same day Robert Mueller was named as special counsel. Strzok played a key role in the Hillary Clinton investigation, as well as the much talked about edits to the statement James Comey issued where he refused to recommend that Clinton be brought up on criminal charges. The edits includes removing the statutory language "grossly negligent," (making it a federal crime) to "extremely careless." Strzok also played a key role in initiating the Russian collusion investigation against President Trump, which was was referenced as an "insurance policy" in previously released text messages between Strzok and Page. Now the FBI is claiming that all texts between Strzok and Page, from approximately a month after the 2016 presidential election, the same day Robert Mueller was assigned as special counsel, were not preserved and cannot be retrieved. 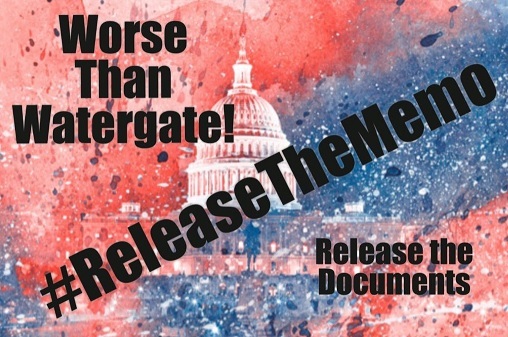 The #ReleaseTheMemo campaign is about more than just making the plot against President Trump, which began under the Obama administration, with the full complicity of top level FBI and DOJ members, and the MSM and Democratic politicians, public, but it is the beginning of the #TheStorm that will rock the very foundation of Washington DC, to bring about a complete house cleaning of the highest levels of corrupt intelligence community members, often referred to as the Deep State or the Shadow Government. According to some lawmakers, what they have seen doesn't just justify firing certain members of the intelligence community, but should result in criminal charges and prosecution. The government shutdown is nothing more than a dog and pony show as Democratic politicians, in a blind panic, are trying to buy themselves enough time to let the fury of the #ReleaseTheMemo campaign die down so they can figure out how to spin the information that is about to become publicly available about the Obama administration, the higher level senior members of the FBI and DOJ, the FISA court abuses, and the complete crumbling of the "Russia collusion" narrative that has dominated the headlines over the last year. Corrections made to this article in regards to the dates of the missing Strzok/Page texts messages.